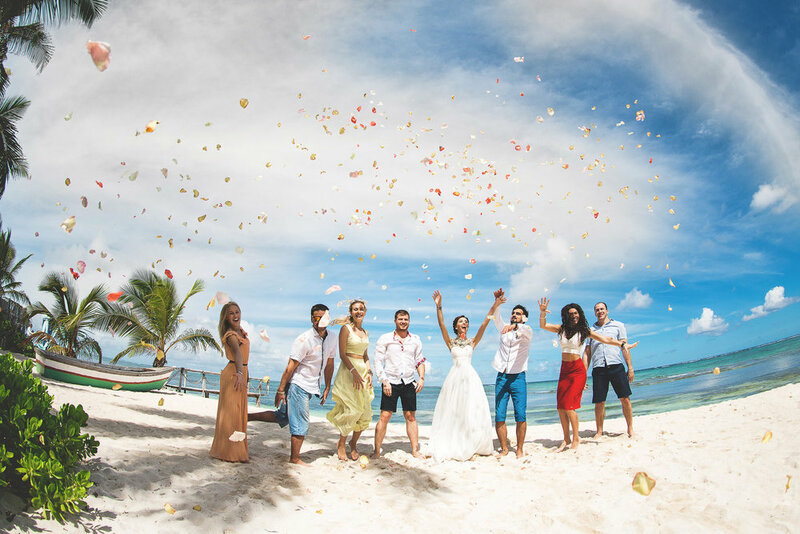 Punta cana weddings is just the right thing to do if you are planning for a remarkable wedding that gives you long lasting memories and experience. The Punta Cana is a marvelous district in the Dominican Republic, which is famous for its stately palms, beautiful beaches that have stretched a long distance, and a gentle Caribbean breeze. The Punta Cana has surely earned its position in the sanctuary of emblematic Caribbean Wedding Destinations. The Punta Cana covers over thirty miles of coastline of far eastern shores of the Dominican Republic. If you are planning a wedding in the Caribbean Wedding Destination, then choosing the Dominican republic for your wedding destination is just the perfect way to start your new life together. You can take a direct flight as there are several flights available from major American Airports to Punta Cana. The travelers required a passport. The best part is most of these resorts offers all-inclusive facilities, which means you can expect anything from a room service to poolside cocktails and also a dinner date included in the room rate. Most of these Punta Cana properties offer a Resort inside a resort, and you can also get an adults-only suit with luxurious amenities that are worth of stay on your precious wedding day to enjoy the moment the most. There are several wedding planners available in Punta Cana so that you can make your wedding planning without any stress. The Punta Cana resorts have plenty of experience as they are known as the best hosting destinations, which have hosted several weddings before with the best wedding planner team. They can also give advice and local insights, and help you make your wedding the most memorable one. Hiring a wedding planner is the best thing to do as they provide expert wedding organizing team and make all arrangements on behalf of the couple, and they just need to be there to exchange the vows. Planning a wedding is, of course, the biggest decision, finding the perfect location and date is very vital, and you cannot ignore other factors like budget and how many people to invite to the wedding. Well, Punta Cana is one of the best wedding destinations as the place filled with beautiful beaches and luxurious resorts. According to the wedding experts of Caribbean Destination, resorts should be completely apparent about their wedding packages and deals. They should provide clear details of each wedding package, and also enable to tell about the other costs such as how much they charge extra for a photographer or if it has included in the package, such details must be clear and transparent. Punta Cana has two places, including Paradisus Palm Real Golf and Spa and Paradisus Punta Cana Resorts are the best locations for a logistic wedding. The two resorts offer an expert wedding organizing team to handle all the aspects of the wedding. The peak months for the weddings in Punta Cana are January, February, and September and during these months, you can expect lower room rates, best deal on wedding packages, and other offers and bonus perks. Many couples getting married in Punta Cana believe that their wedding is going to be a pictorial wedding. 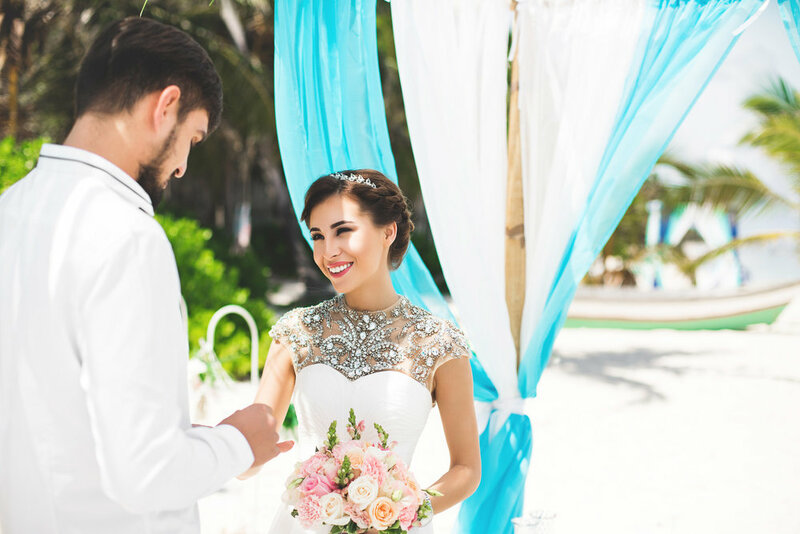 In Punta Cana wedding destination, the couple can save hundreds of dollars, but when you are coming from the different country, all that you need to bring is legal paperwork from your state. However, once you arrive in Punta Cana all that you need to do is relax and get ready for the wedding like any other guest as the expert wedding organizers will take care of everything. Here you will find some of the aspect that you need to consider about planning a destination of marriage in Punta Cana, the Dominican Republic, from the customs and laws and to the best time for wedding planning and the cost integrated with the wedding and so on. The hurricane season begins from May and continues through October, so the best time to plan your wedding is between November and April. In Punta Cana, the usual temperature during these months is around 29 degrees Celsius in the daytime, and at the night time, it will decrease to 19 degree Celsius during the night. It is the perfect time for a wedding as the weather will be in control, which adds more pleasure to the marriage ceremony. From the capital city of Santo Domingo it takes a just four-hour flight to reach Toronto, and from there it takes around seven-hour flight from Calgary and Vancouver. If you are planning to get married in the Dominican Republic, then the first thing you should remember is to bring two witnesses along with you, and they should have valid passports. You should also bring original birth certificates and valid passports, and also, you need to spend photocopies of the passports to the CG (Consulate General) of the Dominican Republic. Not just that, you should also get NSD (Notarized Statutory Declarations) of Single Status. In case, one of the wedding couples married previously, then they have to show an original divorce certificate or his/her death certificate, or they can get a notarized photocopy. Also, you should remember that all these certificates, including Birth Certificate, Divorce Certificate, NSD of Single Status Certificate, etc, to be translated into Spanish, and must be legally recognized by the DRC (Dominican Republic Consulate or Embassy). The fee for legalized documents is around 100 dollars, and for translated documents, you should pay around 40dollars. The Punta Cana has several best all-inclusive resorts that offer several wedding packages, including wedding and Honeymoon packages. You can plan your wedding at quiet and isolated resorts where you can expect complete privacy and offers plenty of natural look along with hardwood floors and thatch roofs. You can also escape after the wedding for a high-drama moments as there are several sophisticated places. Punta Cana allows the couple to escape quite easily to have a together time for themselves away from friends and family.